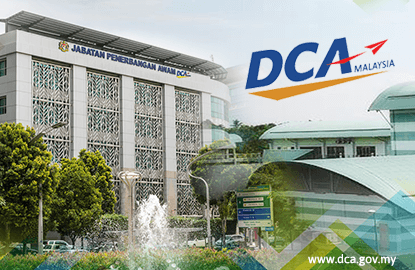 KUALA LUMPUR (July 25): Hours after the Malaysian Aviation Commission (MAVCOM) announced it was investigating Suasa Airlines Airlines for operating without an Air Service Permit (ASP), the Department of Civil Aviation (DCA) clarified that the airline has obtained a provisional ASP from the DCA on Dec 15, 2015. "With regards to recent news articles on Monspace Airlines, the DCA wishes to clarify the matter. Suasa Airlines Sdn Bhd received its provisional ASP on Dec 15, 2015. Following that, Suasa Airlines applied to DCA for an air operator certificate (AOC) on Jan 18, 2016," it said in a statement this evening. It said the DCA issued an AOC to Suasa Airlines after a thorough audit and inspection of the latter's technical ability was conducted. "Subsequently, Suasa Airlines will have to pursue with MAVCOM to have its full ASP, which, until this media statement is released, has not been issued. Suasa Airlines shall not conduct any commercial air transport operations without both the AOC and ASP approvals," it said. The DCA, it added, has also not issued any AOC to Monspace Airlines or Monspace Sky Airlines. "However, Suasa Airlines' aircraft were marked with 'Monspace Suasa Airlines' and www.monskyways.com. In this regard, the DCA will issue an order which require Suasa Airlines to explain this matter," it added.